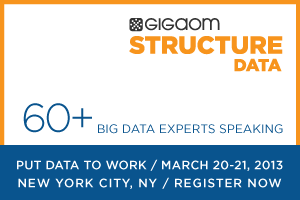 When we first began putting together the schedule for Structure: Data several months ago, we knew that running SQL queries on Hadoop would be a big deal — we just didn’t know how big a deal it would actually become. Fast-forward to today, a mere month away from the event (March 20-21 in New York), and the writing on the wall is a lot clearer. SQL support isn’t the end-game for Hadoop, but it’s the feature that will help Hadoop find its way into more places in more companies that understand the importance of next-generation analytics but don’t want to (or can’t yet) re-invent the wheel by becoming MapReduce experts. In fact, there are now so many products and projects pushing SQL queries and interactive data analysis on Hadoop — including two more announced this week — that it’s getting hard to keep track. But I’ll do my best. Of course, Facebook (s fb) began this whole movement to bring SQL database-like functionality to Hadoop when it created Hive in 2009. 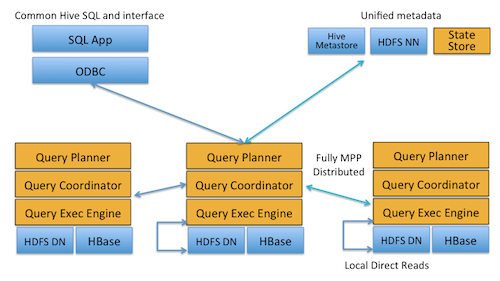 Hive, now an Apache project, includes a data-management layer and SQL-like query language called HiveQL. It has proven rather useful and popular over the years, but Hive’s reliance on MapReduce makes it somewhat slow by nature — MapReduce scans the entire data set and moves a lot of data over the network while processing a job — and there hasn’t been much effort to package it in a manner that might attract mainstream users. And keep in mind that this next generation of SQL-on-Hadoop tools aren’t just business intelligence or database products that can access data stored in Hadoop; EMC (s emc) Greenplum, HP (s hpq) Vertica, IBM (s ibm) Netezza, ParAccel, Microsoft (s msft) SQL Server and Teradata (s tdc)/Aster Data (which this week released some cool new features for just this purpose) all allow some sort of access to Hadoop data. Rather, these are applications, frameworks and engines that let users query Hadoop data from inside Hadoop, sometimes by re-architecting the underlying compute and data infrastructures. The beauty of this approach is that data is usable in its existing form and, in theory, doesn’t require two separate data stores for analytic applications. 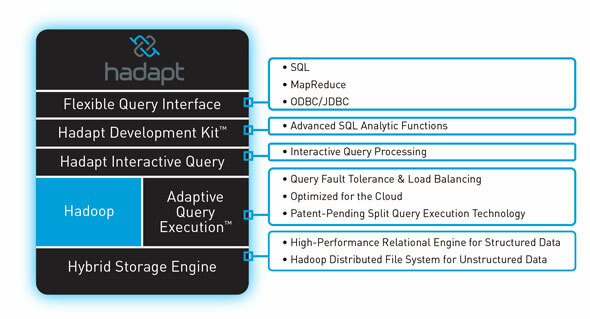 Hadapt: Hadapt, which actually launched at Structure: Data in 2011, was the first of the SQL on Hadoop vendors and is somewhat unique in that it has a real product on the market and real users in production. 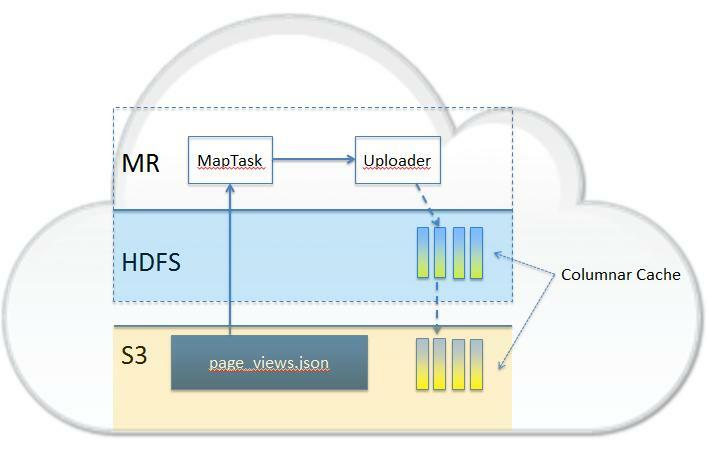 Its unique architecture includes tools for advanced SQL functions and a split-execution engine for MapReduce and relational tasks, and both HDFS and relational storage. In October, the company announced a tight integration with Tableau Software around advanced visual analytics. Platfora: Technically not a SQL product, Platfora is red-hot right now and is trying to re-imagine the world of business intelligence for a big data world. 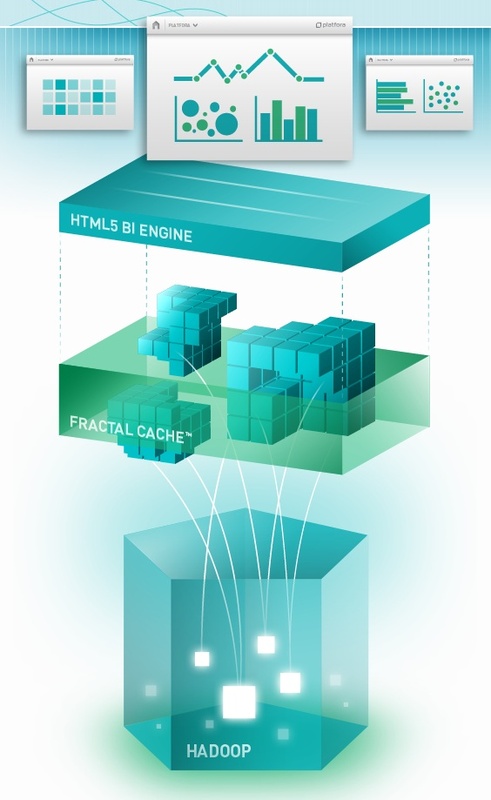 Essentially an HTML5 canvas laid atop Hadoop and an in-memory, massively parallel processing engine, the company’s software, which it unveiled in October, is designed to make analyzing data stored in Hadoop a fast and visually intuitive process. Qubole: Qubole is an interesting case in that it’s essentially a cloud-based version of the popular Apache Hive framework launched by the guys who created Hive while working at Facebook. Qubole claims it auto-scaling abilities, optimized Hadoop code and columnar data cache make its service run much faster than Hive alone — and running on Amazon Web Services makes it easier than maintaining a physical cluster. Citus Data: Citus Data’s CitusDB isn’t just about Hadoop, but rather wants to bring the power of its distributed Postgres implementation to all types of data. It relies on Postgres’s foreign data wrappers feature to convert disparate data types into the database’s native format, and then on its own distributed-processing technology to carry out queries in seconds or less. Because of its Postgres foundation, CitusDB can join data from different data sources and retains all the native features that come with that database. Cloudera Impala: Cloudera’s Impala might just be the most-important SQL-on-Hadoop effort around because of Cloudera’s expansive installation and partner footprints. It’s a massively parallel processing engine that bypasses MapReduce to enable interactive queries on data stored in either HDFS or HBase, using the same variant of SQL that Hive uses. However, because Cloudera doesn’t build applications, it’s relying on higher-level BI and analytics partners to provide the user interface. Karmasphere: Karmasphere is one of the first startups to build an analytic application atop Hadoop, and in its 2.0 release last year the company added support for SQL queries of data in HDFS. Like Hive, Karmasphere still relies on MapReduce to process queries, which means it’s inherently slower than newer approaches. However, unlike Hive, Karmasphere allows for parallel queries to run at the same time and includes a visual interface for writing queries and filtering results. Lingual: Lingual is a new open source project from Concurrent (see disclosure), the parent company of the Cascading framework for Hadoop. Announced on Wednesday, Lingual runs on Cascading and gives developers and analysts a true ANSI SQL interface from which to run analytics or build applications. 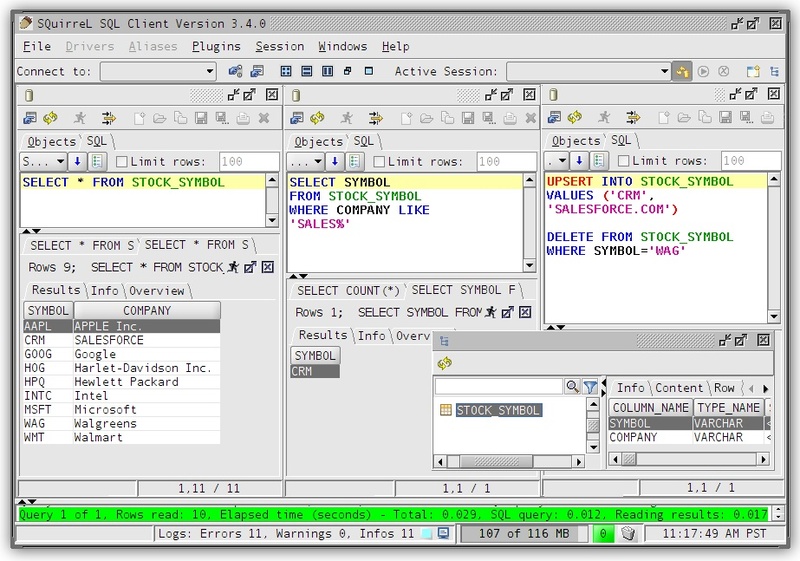 Lingual is compatible with traditional BI tools, JDBC and the Cascading family of APIs. Phoenix: Phoenix is a new and relatively unknown open source project that comes out of Salesforce.com (s crm) and aims to allow fast SQL queries of data stored in HBase, the NoSQL database built atop HDFS. Its stated mission: “Become the standard means of accessing HBase data through a well-defined, industry standard API.” Users interact with it through JDBC interfaces, and its developers claim its sub-second response times for small queries and seconds-long response for querying tens of millions of rows. Shark: Shark isn’t technically Hadoop, but it’s cut from the same cloth. 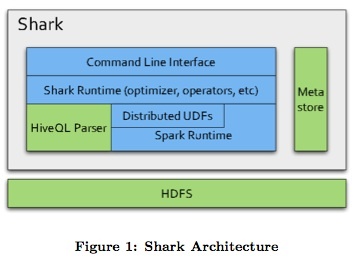 Shark, in this case, stands for “Hive on Spark,” with Hive meaning the same thing it does to Hadoop, but with Spark being an in-memory platform designed to run parallel-processing jobs 100 times faster than MapReduce (a speed improve over traditional Hive that Shark also claims). Shark also includes APIs for turning query results into a type of data format amenable to machine learning algorithms. Both Shark and Spark are developed by the University of California, Berkeley’s AMPLab. 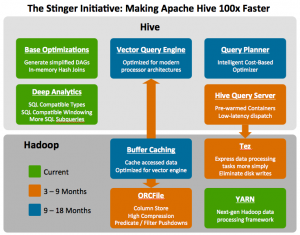 Stinger Initiative: Launched on Wednesday (along with a security gateway called Knox and a faster, simpler processing framework called Tez), the Stinger Initiative is a Hortonworks-led effort to make Hive faster — up too 100x — and more functional. Stinger adds more SQL analytics capabilities to Hive, but the most-important aspects are infrastructural: an optimized execution engine, a columnar file format and the ability to avoid MapReduce bottlenecks by running atop Tez. 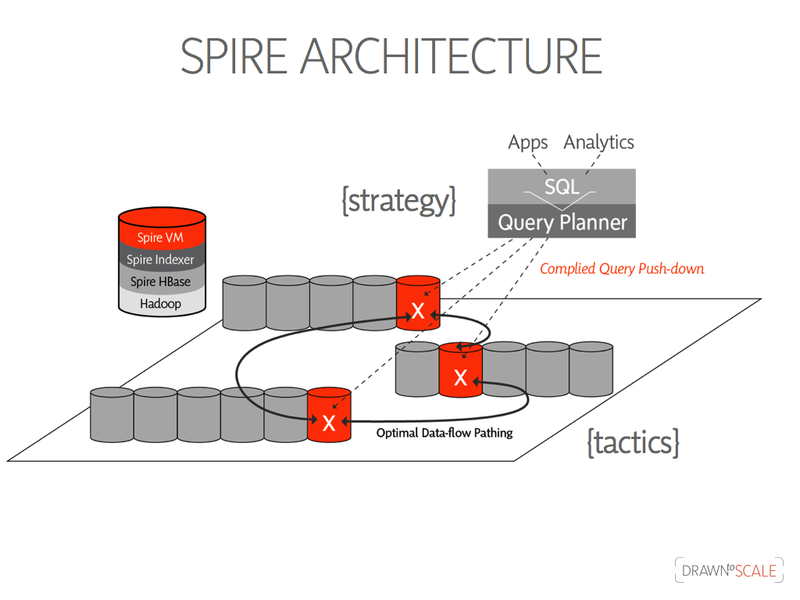 Drawn to Scale: Drawn to Scale is a startup that has built an operational SQL database on top of HBase. The key word here is database, as its product, called Spire, is modeled after Google’s F1 designed to power transactional applications as analytic ones. Spire has a fully distributed index and queries are sent only to the node with the relevant data, so reads and writes are fast and the system can handle lots of concurrent users without falling down. 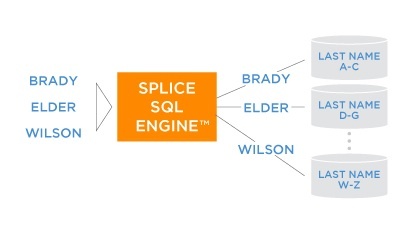 Splice Machine: Database startup Splice Machine is also trying to get into the operational space by building its Splice SQL Engine atop the naturally distributed HBase database. Splice Machine focuses its message on transactional integrity, which is really where it separates itself from scalable NoSQL databases and analytics-focused SQL-on-Hadoop efforts. It relies on HBase’s aut0-sharding feature in order to making scaling an easy process. Feature image courtesy of Shutterstock user hauhu. 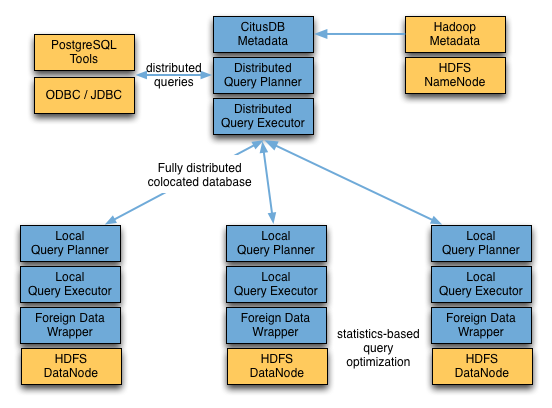 Nice compilation of SQL and Hadoop integration efforts. Splout SQL (http://sploutsql.com) is also relevant to this article. It is an isolated, low-latency read-only SQL serving engine that integrates seamlessly with Hadoop. Its use case is on web-latency scenarios: many lookups, multiple concurrent users, as opposed to offline analytics workloads. I believe I was remiss in omitting RainStor from this list, so let me do it now. We’ve covered it here and here, but the gist is that it’s a database that can sit on top of HDFS and allows for both SQL and MapReduce jobs. It boasts fast performance, in part, because it compresses data so much that cluster size drops dramatically.